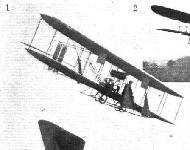 Ogilvie flying Short-Wright No 6 with an NEC engine at Camber Sands in October 1910. 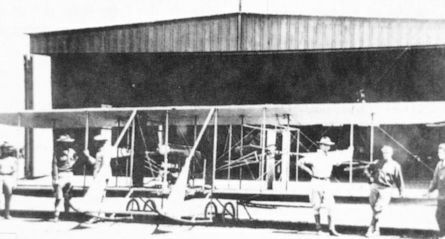 Contrary to Ogilvie’s own statement, surviving records indicate that the machine was acquired by the Wright brothers from Charles Rolls’s estate following his death, and was sold on to Ogilvie, who then modified it to Wright Model B configuration. 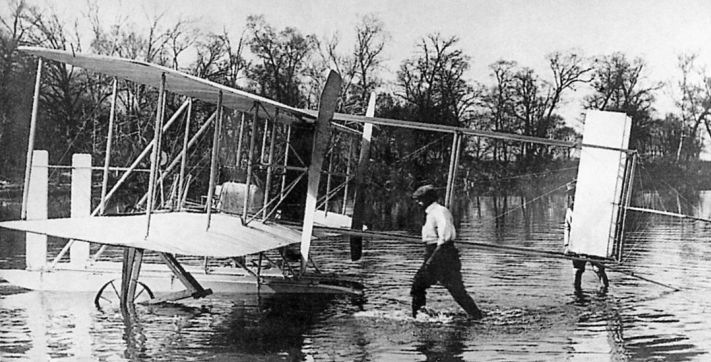 George Beatty, of U.S.A., giving one of his low-flying exhibition of stunts on the Beatty-Wright biplane. “’Ello, ’ello, ’ello, what’s all this then?” A policeman looks on as Ogilvie prepares his Baby Wright racer for the Gordon Bennett Trophy race on July 1, 1911. 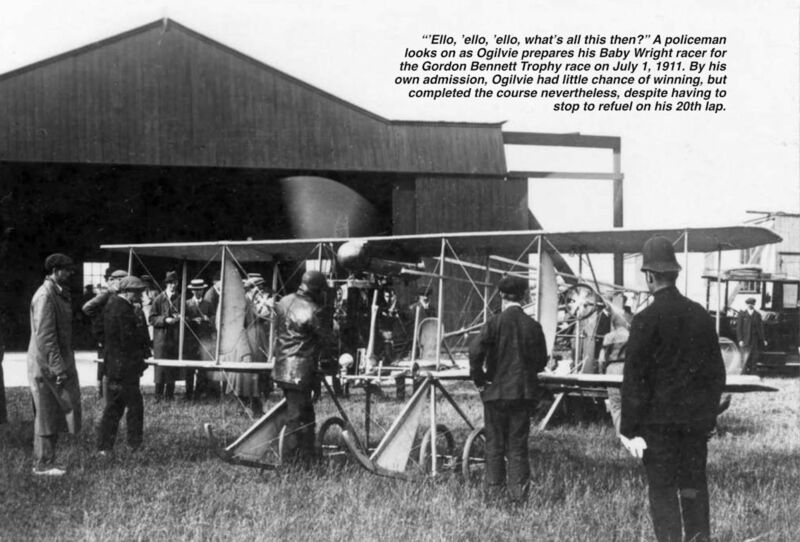 By his own admission, Ogilvie had little chance of winning, but completed the course nevertheless, despite having to stop to refuel on his 20th lap. 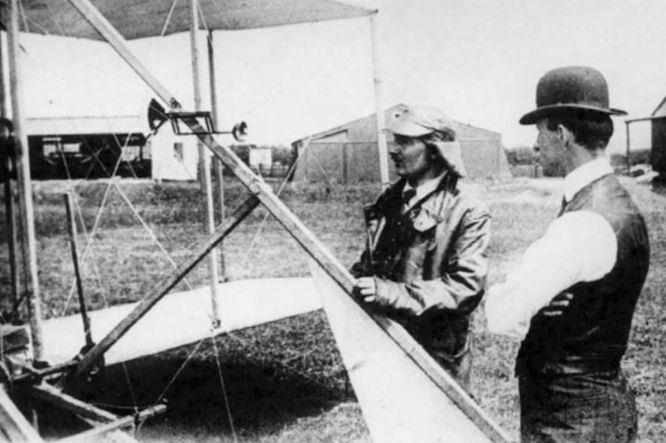 Alec Ogilvie (left) with Wilbur Wright at Eastchurch, probably during the latter’s visit to Eastchurch to help Ogilvie with his repairs and preparations for the Gordon Bennett race on July 1, 1911. Note the early example of Ogilvie’s spring-loaded airspeed indicator attached to the forward strut. Впервые взлетевший в 1912 году, самолет Model C выпускался в основном для Армии США, получившей семь «Speed Scout». На снимке: один из трех поплавковых Model C-H для ВМС США. 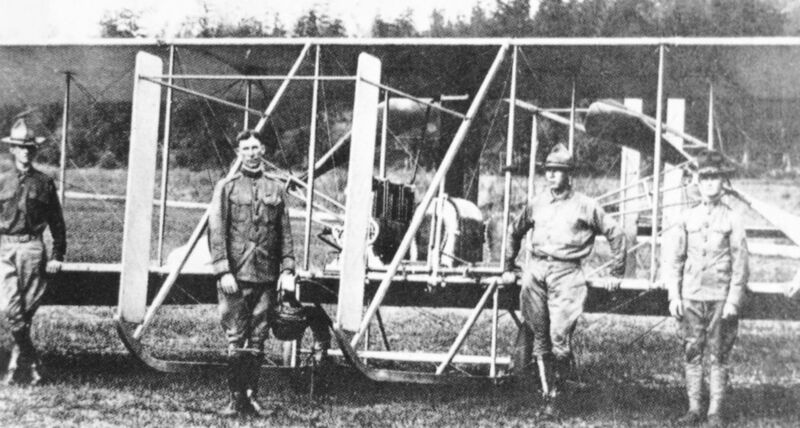 Интересно, что у военных Model C получил обозначение Wright B.